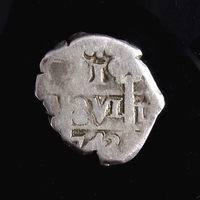 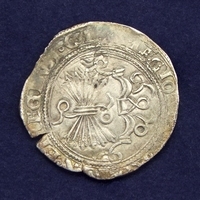 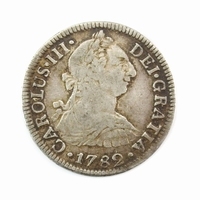 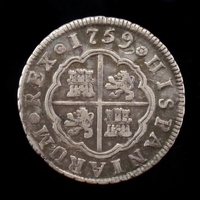 Colonial Spain, 2 Reales 'Pillars and Waves' type, struck in Peru (Lima) in 1692. 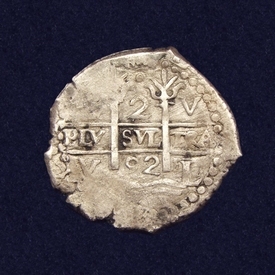 Obverse: the Pillars of Hercules above a series of waves, PLV / SVL / TRA across the middle. 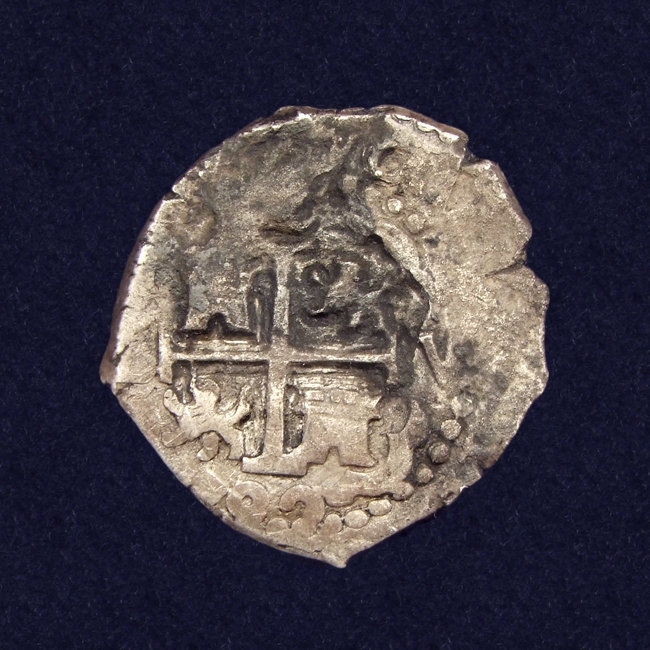 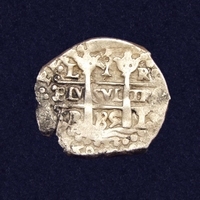 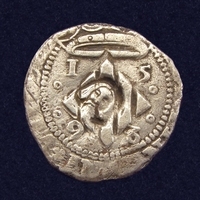 Reverse: Cross of Jerusalem, lions and castles in quarters, date 92 below.